Who doesn't want to Rank#1 in Google Search Results? But How To Do? Most common questions all new bloggers have in their mind. SEO (Search Engine Optimisation) is the main factor for Ranking. 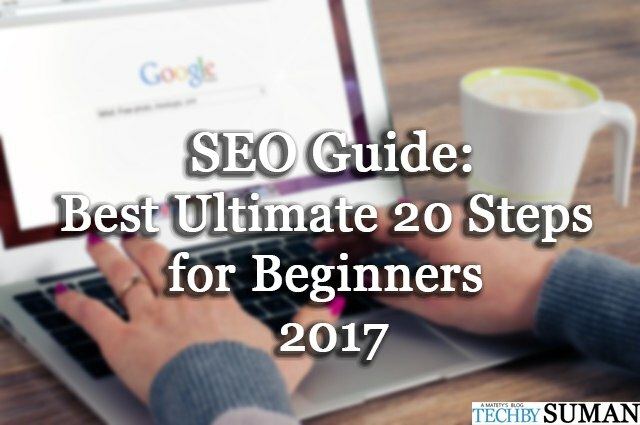 It's Completely an Ultimate Google SEO Guide. Ranking Top in Search Results in 2019 is not easy because most of the competitors use the same process. So, What are the new tools to get rank first on Google? Is there any SEO checker? SEO is not one sticky information that Google changes its algorithms every year and being updated for its customers. So, Before writing a post do research on keywords. You can use many Tools for keywords but best is SEMRUSH and it shows the competitor keywords ranking for. Most searched keywords. While writing your post, use your keyword in the first paragraph and the last paragraph of your post. Google bots check for the keyword in the post. Keyword density about 2% in the post body. Use synonyms for keywords inside the post because using the heavy keywords may penalize by Search Rankings. Use widgets like Most Popular and Labels in your Website for best user experience. Social Share buttons don't play the major role but users share your post in Social sites, Google bots think that this is the wealthy post.AddThis is a free tool for floating buttons and subscribe and more. Using of LSI keywords in the post used to rank for related keywords.LSIgraph is a free tool to find keywords for LSI. Or you can also find in the search results of Google. Is Looking for Template is a Ranking Factor? Definitely Yes, Because it's for visitor usage experience for finding elements and topics of your site. Ensure your website sidebar looks clean and looks like a pro. In 2015, Google started to find for Fast loading websites are top in Search Results. Check your website load time if it is less than 2 sec it is good for ranking. GTmetrix is a tool to find your load time and gives Grade for your site. Compress, Resize and reduce image size by compressing. Kraken is the tool and even I use it to compress images. While Google changes its Algorithms year, Responsive is now most SEO factor for getting top in Google. Responsive Checker is a free tool and shows different models of mobiles too. Meta Title: Place your keyword in meta title. Use your title starting with Keyword. Meta Description: Its plays a major role in clicking on your site.write a rocking and clickable description. Use up to 150 characters in the search description as Google shows up to 150 only. Image Name and Alt tag: Use your keyword in Image title and alt tag as it finds in Image search results. Image Caption: Put your target keyword in the Image with short and two keywords best for SEO. Link your old posts with new posts as they get page views and a visitor stays time will be increased. CTR can be improved by Interlinking. Don't write only for your blog. Write for others that can build an excellent backlink for your site. Write for top blogs only. You can't be an Optimisation Expert as Technology developments(in my view). Google CEO Satya Nadela works for his company daily right? So, invest time in Learning SEO from other bloggers. It is a Powered by Google Service which helps to track your search traffic and what to do for better improvements on the site by Google Analytics. Submit your Site sitemap to all search engines webmaster tools to identify the robots what about your site and pages. They can easily find all the posts or pages updated if you submit. Make your URL friendly for optimisation to identify the topic of that page easily. Do Keyword density before starting the project mean the post. We think this is our main goal, right? Find better keywords with medium competition because you can easily get ranked. Search your keyword on Google and find your competitors. Don't use that keyword if it has high competition.SEMrush is the Free tools to find keywords. The page title and meta description play an important role in on-page SEO. Write a catchy title that should be clicked. Start your title with the Keyword.CoShedule is a Free tool which analyzer your title. The meta description won't help you in ranking but it appears on the search results listing, so make sure to use 155 words length and make it perfect. Write words that are readable and interesting. Google bots don't call you for services, right? So make interesting. Give it like paragraphs. Don't clumsy the content and use words like so on, keep reading and some extra words. Use a clickable title and post image for more response. Post on twitter make sure to use #hashtags and tell your friends to share it. 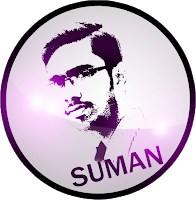 Create a Page on Facebook. Create Whatsapp groups and invite people on your page let them join. Use last updated that a visitor thinks that it is fresh content related to that year. This helps in Social sharing. By using these SEO Techniques, Google may bring Traffic to your site but we can't expect the next algorithm update. So, keep your content updated. Use the above steps because you don't want to think why Google hates my site. Yes, Google hates your site if you don't have proper SEO. What are you thinking about the SEO steps and do you find it helpful? Thanks for share awesome blog.i think it's very useful for me.really amazing content.keep it up.,, :(( -For more information PPC Management comapany .